Verbiage | CHRYSALIS HOUSE, INC.
To wrap up our previous post on conspicuous comments made in the public, we have solicited some specific scenarios that have played out in real life! Peggy suggests stating “They are my own . . . “ said sweetly while maintaining direct eye contact. Similarly, imagine you are in the post office and a stranger asks…”What a cute little girl. Is she your real daughter?” Although, Stacy’s sarcastic instincts would drive her to want to reply with a humor filled: “No, she’s my fake daughter,” we believe offering a privacy guarding or informational response would be healthiest for your child to witness and process. Stacy therefore recommends: “Yes, she’s really mine! I’m so lucky.” (privacy guarding) or “Yes, we are an adoptive family!” (informational). In closing, know that it’s very important to check-in with your child after someone has said something you consider offensive. Ask how are they feeling after that comment – and allow them to express feelings of anger, sadness, confusion, etc. If you find yourself in the position of an awkward or socially uncomfortable inquiry — giving the power to the child to decide or relinquish power to the parent is absolutely appropriate in some circumstances. You might choose to ask your child & say: “Do you want to handle this one, or do you want me to?” If you face an inquiry that feels too aggressive, JulieAnn also suggests that parents place their physical body between their child & the inquirer. This will imply and instill that you are the child’s protector. 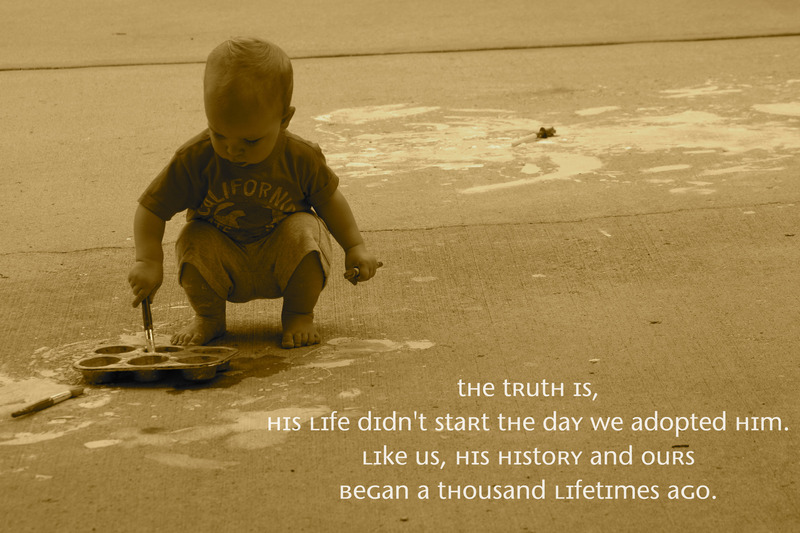 If you’re considering adoption, please don’t let this post sway your choices. It’s important to remember that the majority of the public will support your adoption story in a conversationally appropriate way. The spirit of this post is simply to offer ideas and to encourage preparedness for those who may need it. Have you experienced adoption related banter in the community that left you uncomfortable, mad or maybe even… extremely pleased? We’d love to hear about it! Following up on a previous blog post, “Words Can Hurt,” we’re furthering the discussion a bit on the topic of specifically being a Conspicuous Adoptive Family. This can be more obvious from the standpoint of adopting a child of another culture. Or it can be less obvious – with physical characteristics such as hair and eye color differing greatly from those of the adoptive parents. Whichever the case, surprisingly, sometimes any difference at all… can seem to open the family to comment from the community. We can all expect to meet people who oppose multiracial adoption for political reasons – some will be the same race as the child, and some not. A family built of multiple heritages will be especially visible and that will influence the reactions of other people. Some of these families may feel like they are on display every time they go out! They might come to expect questions and comments about their conspicuous families, from strangers and people they know. These comments may challenge their family identity and privacy boundaries. Any responses to the curiosities about your family, needs to reflect pride and confidence and above all, serve the child. As a family you can decide what info you are prepared to share (“Yes she joined our family by adoption, she was born in ______”) and what needs to remain private (“I’m sorry, we don’t share our child’s story with anyone but family. I hope you understand.”) We advise that families develop a few “scripts,” short and sweet …and practice until you feel comfortable. Role-play with kids works well and can be fun too, especially if you employ the dress-up clothes stash! Adopted children may need to be prepared to handle attention, comments and questions that they will receive when they are with their families – and on their own. As parents, you need to model for them how to respond while honoring their story and their dignity. Give your child some control over sharing his story – “Would you like to answer the strangers question?” A parent can answer if they or you wish – and you CAN choose to not answer at all. It’s natural to feel and respond differently to people who share your child’s heritage. You shouldn’t feel obliged or pressured to share private family information simply because those posing the questions are the same race/culture as your children. Share what you’re comfortable sharing. Getting involved in the community is a great opportunity to build bridges. Similarly, if your children see you treating people who share their heritage with respect and openness, they may feel more comfortable interacting in their own racial communities. This can have a positive effect on our children’s self esteem and make them more comfortable with their identities as they see us building relationships with people of all different racial and cultural backgrounds. You may be particularly aware of this when travelling to your children’s countries of origin. You may also feel defensive, protective and even inadequate in responding. You can absolutely provide information on a need-to-know basis. Remember that your children’s life details belong to them, and parents are the caretakers of those details. Understandably, most adoptive parents have had a lot of experience working with professionals before the adoption even takes place – and as result, boundaries around confidentiality have been stretched. Now is the time to tighten these boundaries and take back control of them. …gives the questioner some kind of information about the child’s adoption or the adoptive family. This is usually more effective with people you see frequently. …are responses designed to protect your child and your family. They quickly cut off further discussion. Often these responses are posed as questions. Because this post is a lengthy and important one, we are splitting the content into two posts. The next blog post will address specific examples and conversations and how they have played out in real life. Our social workers and parents have shared insights about how to manage each of the situations. Words convey facts and evoke feelings. The way we talk—and the specifically the words we choose—say a lot about what we think and value. When we use positive adoption language, we are supporting that adoption is a wonderful way to build a family – just as birth is. Both ways are important, unique and special. One is not more important than the other. By using emotionally sensitive language, we educate others about adoption and the fact that it isn’t a “second best” route to becoming a parent. We speak and write this way in the hope of influencing others so that this language will someday become the norm. It is important to talk with your family and friends about why certain verbiage has a negative impact – and relate it to your preferences. Your coaching can also be contagious to those around you, correcting adoption misconceptions in a powerful way. When considering your adoption language, it is important to think of the child’s perspective. For an adopted child, the difference in the words they hear about adoption can change the way they view themselves. It’s also the tone and intent of the user that puts the communicative concept in a positive or negative light. 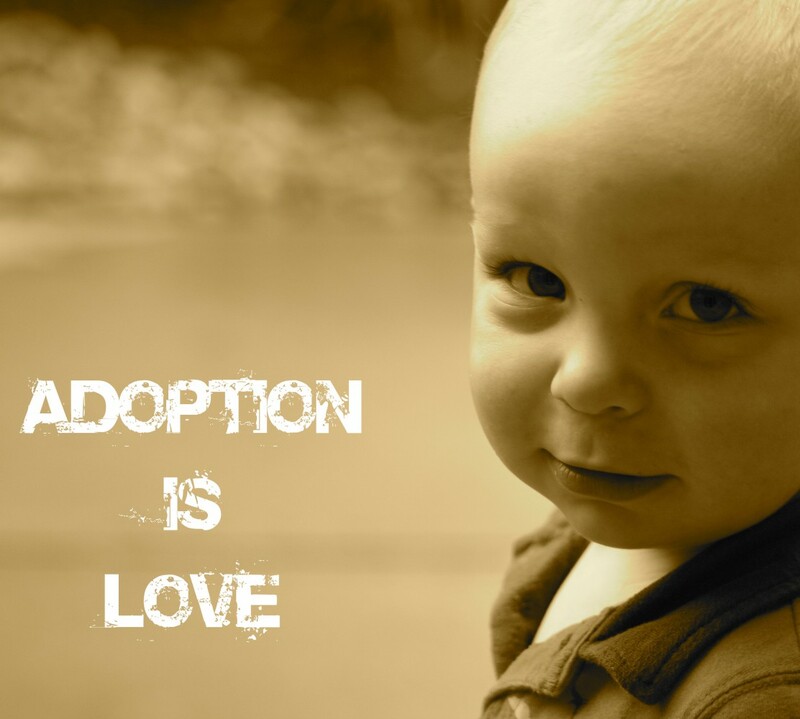 In adoption, children will always have two absolutely “real” families: one by birth and one by adoption. 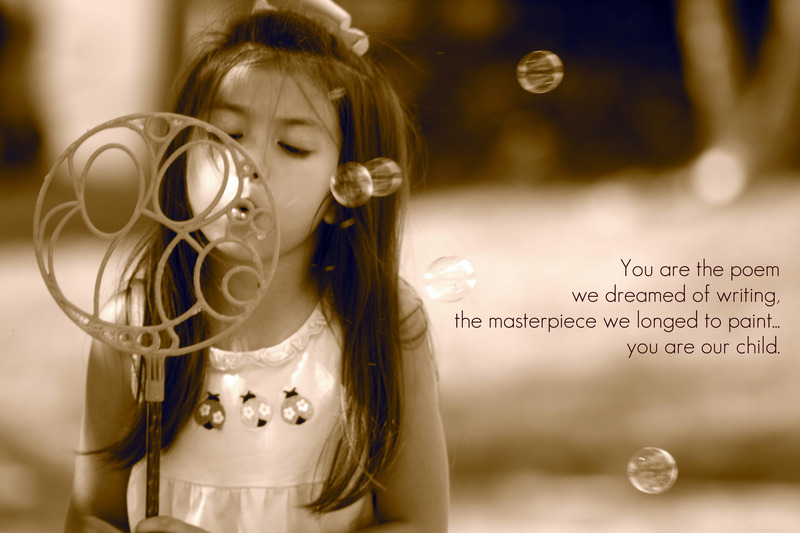 By sweetening the language, we sometimes remove the truth though. A fact remains that can’t be changed with emotionally sensitive words… that every adoption really begins with a catastrophe. Sometimes we may actually have to choose between politically correct terms and those a child chooses to use – based on their age level and cognitive understanding. For example, in a foster child’s eyes, they were “taken away” from their parent by police and CPS workers. So, they won’t easily apply the preferred term: “court termination” to that scenario. They were there for the “taking away” part and if it’s historically accurate, any correction might cause unnecessary confusion. If you have reached this article because you are unsure of what phrases to use, we believe it’s perfectly acceptable to ask the biological parents or adoptive family what they prefer. By being overt, you can avoid phrases that may be confusing to a child and/or hurtful to both the birth family and adopting family. Quite frankly, they may not even entirely support this agency’s chosen terms – and that’s just fine. We should all aim to create comfort with our words. Use the terms that they support and find the most value in, given their unique relationships and situation. Adoption has significant impact on the lives of those it touches, but it is not a “condition.” It should never become a label. Choose which words you use carefully and thoughtfully. After all — Words Can Hurt. Below are vocabulary terms about adoption which have been chosen carefully to reflect maximum respect, responsibility and objectivity about the decisions occurring in family planning decisions, children who have been adopted and families who have been impacted by adoption.